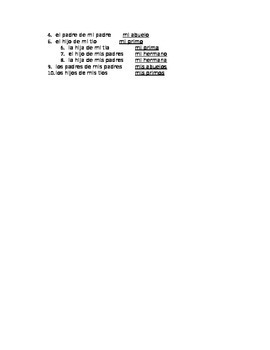 Using Expressions of "de" worksheet with answer key. 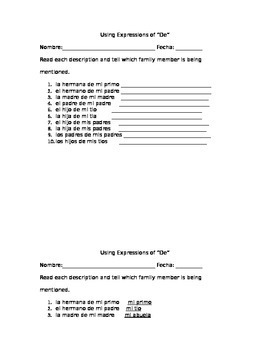 This worksheet uses family vocabulary and the expression of de. The student will need to read the description and tell which family member is being mentioned.